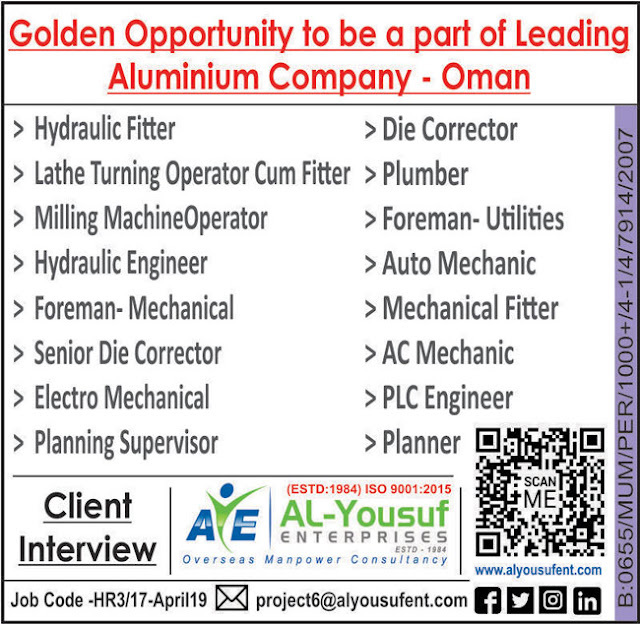 QA/QC Superintendent (Mechanical)Degree/Diploma (Mechanical) + CSWIP or AWS with 10+ years Experience. Welding EngineersDegree(Mechanical) + ANST Level II or III in RT, UT, PT, MT.CSWIP /AWS will be added advantage. Welding InspectorsDiploma(Mechanical) + ANST Level II in RT, UT, PT, MT.CSWIP /AWS will be added advantage. 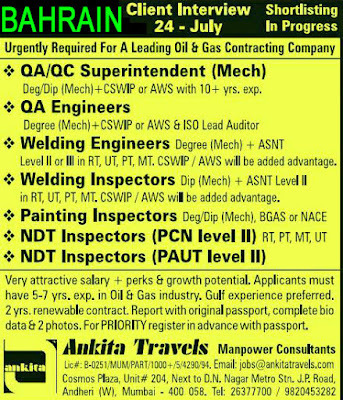 Very attractive salary + Perks & growth potential. 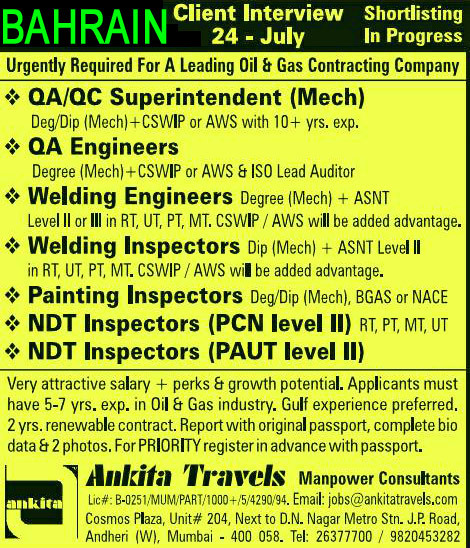 Applicants must have 5 to y years experience in Oil & Gas industry. Gulf experience is preferred. Contract will be 2 years and it can be reviewed. Report with original passport, complete updated Bio-Data and two photos. Register in advance to get priority.